RIDOT rolls out DBE initiative for MBE contractors. Jobsite traffic control personnel are first to be affected. On a traditional jobsite, the safety plan is usually formulated by project engineers and monitored by an onsite supervisor. 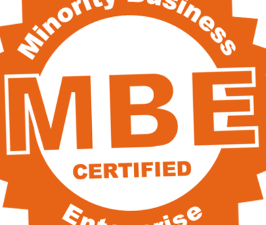 In the case of a Minority Business Enterprise (MBE), this plan must now be established and monitored by the MBE itself. This is in line with new regulations for a Disadvantaged Business Enterprise (DBE), as established in 49 CFR Part 26. The key criteria is evaluating if traffic control work performed by a DBE is a commercially useful function (CUF), and therefore eligible for participation. The intent is to ensure the subcontracting experience is meaningful and independent, and in the best interest of developing the DBE as a subcontractor. The DBE must be responsible for control of its own work (i.e., money, materials, personnel and equipment).